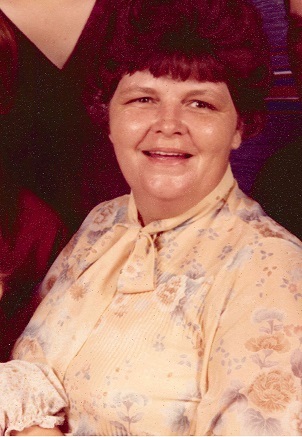 Wanda Faye Scobey, 77 of Newbern, Tennessee died on Friday, March 22, 2019, at West Tennessee Healthcare-Dyersburg Hospital in Dyersburg, Tennessee. Born Wednesday, April 23, 1941 in Maury City, Tennessee, she was the daughter of the late R. S. Climer and the late Sadie Goodman Climer. She retired from Dyersburg Fabrics after thirty-one years of service. Funeral services for Mrs. Scobey will be held at 2:00 PM on Sunday, March 24, 2019 in the Chapel of Johnson-Williams Funeral Home. Officiating this service will be Pastor Lyndel Fisher. Interment will follow in Fairview Cemetery in Newbern, Tennessee. Visitation will be Sunday, March 24, 2019 from 1:00 PM until 2:00 PM at Johnson-Williams Funeral Home. She is survived by her husband of sixty years, Talmadge Scobey, Sr. of Newbern, Tennessee; one son, Talmadge "Bubba" Scobey, Jr. of Newbern, Tennessee; one daughter, LaVonda Cissell (Danny) of Cave City, Arkansas; four grandchildren, Natasha Blake (Brent Powell) of Batesville, Arkansas, Kala Brown of Alabama, Kyle Cissell of Cave City, Arkansas and Danny Joe Cissell of Memphis, Tennessee and five great-grandchildren, Ava Brown, Dustin Mahan, Dalton Carlisle, Houston Blake and Dillion Blake. In addition to her parents she was preceded in death by one daughter, Tamela Faye Scobey; one brother, Adren Climer and two sisters, Lilly Fisher and Glenda Climer. Pallbearers will be Talmadge Scobey, Sr., Danny Cissell, Kyle Cissell, Dustin Mahan, Donnie Scobey and Dalton Carlisle. Online condolences may be made to the family at johnsonwilliamsfuneralhome.com. Johnson-Williams Funeral Home is honored to serve the family of Wanda Faye Scobey.